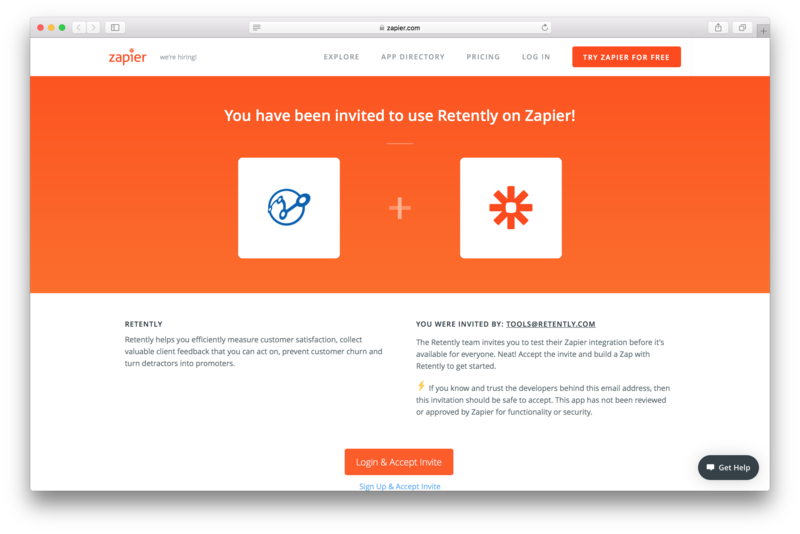 How to automatically import new customers using Zapier? 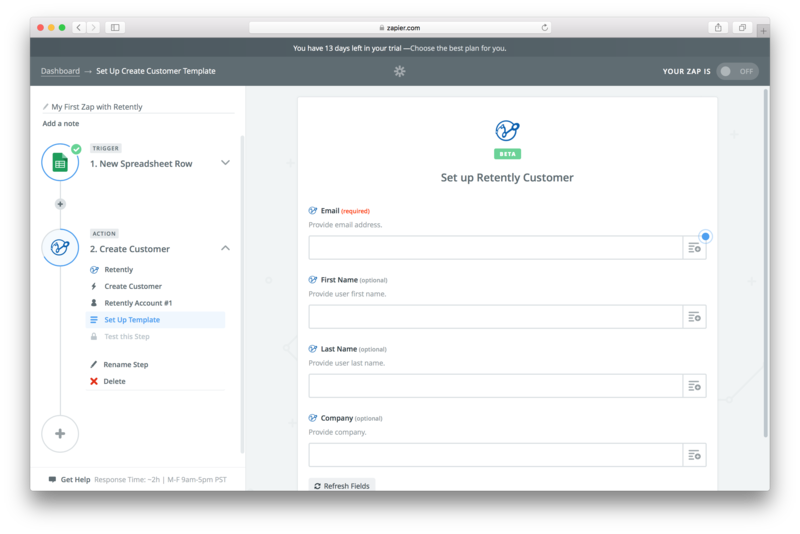 Learn how to automatically import new customers from various services to Retently and trigger a survey immediately. 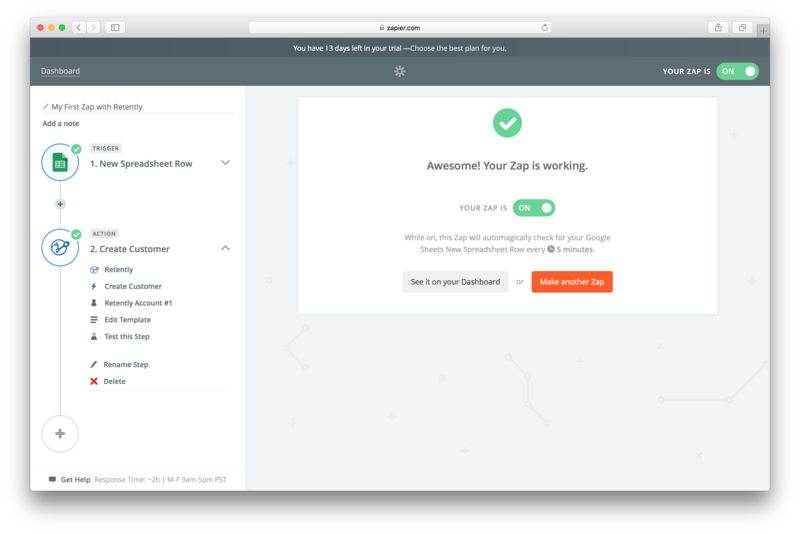 Zapier is an automation service that connects over 700 apps between each other. 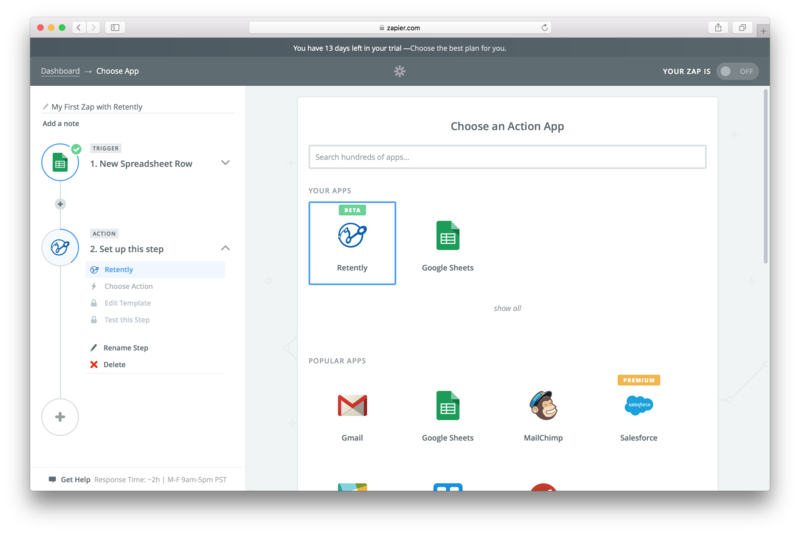 You can use Zapier to automatically import new customers to Retently from any CRM or customer cloud services you use and survey them right away. 1. 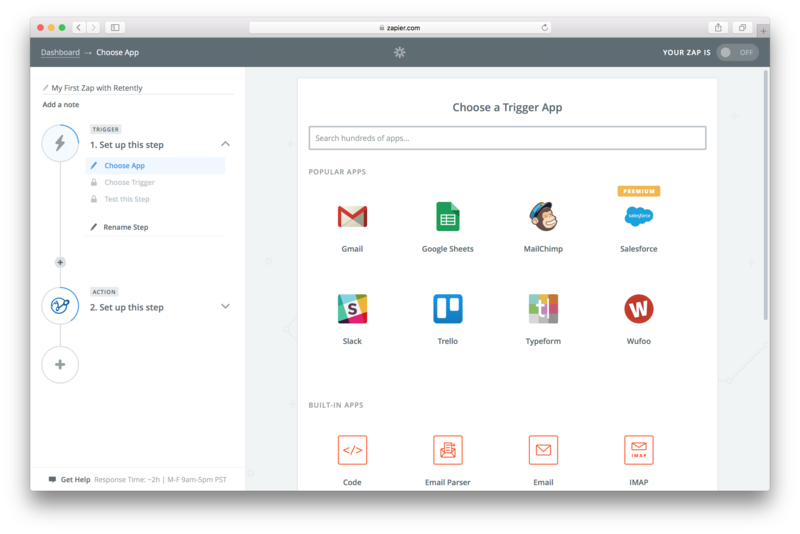 Click here to Log-In to your Zapier account. 2. After you Log-in you will see this page, click on Create this Zap. 3. Next, set up your Trigger App. Normally this should be a service where you store your customers’ contacts. 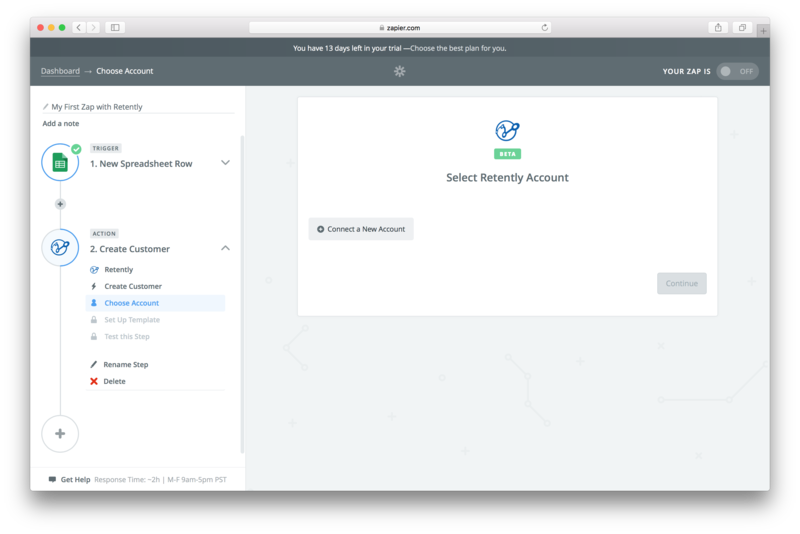 For example: Google Sheets, Hubspot, Intercom, Zendesk, Help Scout etc. 4. 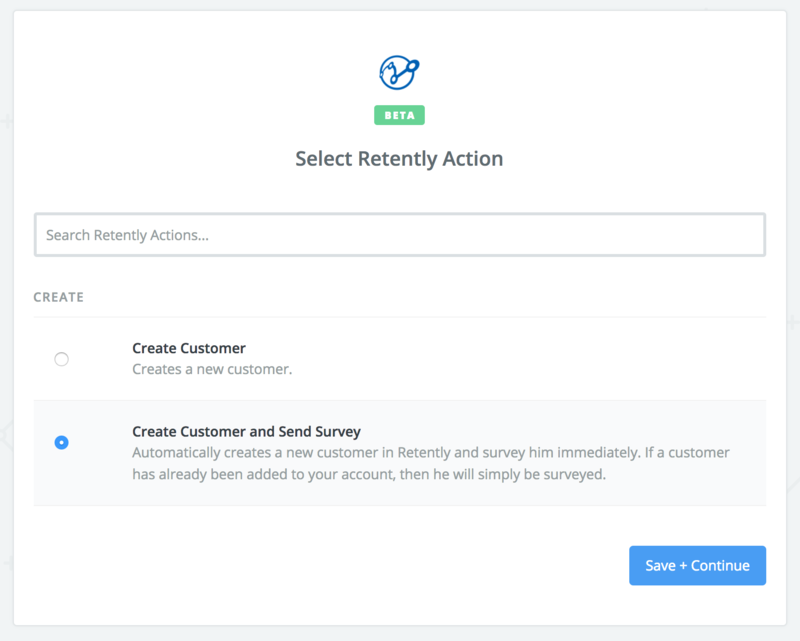 Choose Retently as your Action App and set the action as "Create Customer" if you want only to import the new customer to Retently, or you can select "Create Customer and Send Survey" if you want to automatically send a survey once the new customer was added to Retently. 5. On the next step you will be asked to connect your Retently account. Click on Connect an Account and a pop-up window will ask you to authorize Retently. 6. Next you will be asked to set up the Template. This means that you will have to choose which contact information will be imported to your Retently account. 7. Finally, Zapier will ask you to test your Action App to make sure that there is an connection between all the services. And that’s it. 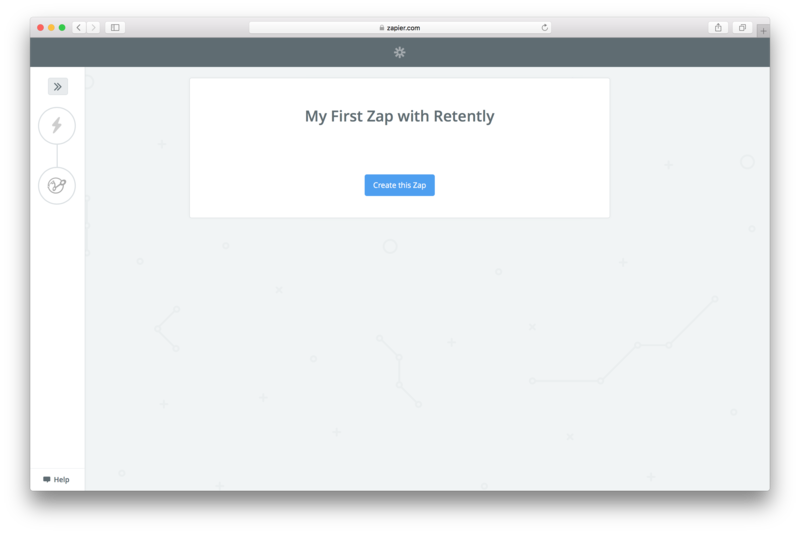 After you’ve created this Zap, your new customers will automatically be imported to your Retently account and you will never have to upload them manually.